Bright sunlight streamed lazily into her room, waking Rachel on what she could see promised to be a fine and warm summer Friday. She lay there looking at the illuminated dust column a few minutes thinking about the dream she'd had. Was there a hidden message in there? She wondered what sort of meanings she might find if she examined it thoroughly with her dream encyclopedia. She jotted down some of the key points of her dream in her little diary. She'd look at it later when she returned from the picnic they'd been planning. Rachel dressed quickly in some comfy, but faded denim cut-off shorts and a well-worn, forest green tank top. It looked like it would be quite warm, and she didn't want to over-dress. She put on her favourite hiking sandals as well. They were beginning to wear out and Rachel noted that they would need to be replaced in the sales at the end of the summer. “No. I invited them to come and see us this summer, even offered to pay for their flights, but no reply. I have to wonder if they have already written me off so completely,” Katja answered, sounding slightly depressed. “It is so silly. Here I am, I would give anything to have known my parents and you have parents who don’t seem interested in knowing you,” Rachel said mournfully. Lunch prepared, they packed it up and stowed it in Rachel's trusty brown backpack. It had plenty of pockets to carry things such as lunches, water bottles and first-aid kits. Rachel insisted on having that just in case. She lugged it onto her back and they left the apartment. Taking the lift to the ground level, they crossed the foyer to leave by the glass doors that were heating the room uncomfortably already. “What I would give for decent AC in this country!” Katja complained. “Anyone would have trouble believing you’re from California!” Rachel quipped. “Yes. Why, are you expecting a call from a guy?” Rachel asked sarcastically. “I guess that’s why I keep my phone on me. No one else calls me anyway!” Katja sighed. “I call you,” Rachel replied. “Who just happen to be taking the same walk as us today! Ridiculous!” Katja quipped with a loud laugh. Katja’s ire calmed in the cooler air outside. They reached the canal quickly and wandered up the tow path towards the country park. “So beautiful along the canal!” Katja said. “Yes, it is lovely,” Rachel replied. “Good thing we both have the day off,” said Katja. “Yeah. Couldn’t have done another day this week for anything!” Rachel agreed wholeheartedly. “I know what you mean,” Katja sighed. “’My little precious angel could not have possibly hit another kid!’” Katja joined in, mimicking another parent’s complaint. They both laughed and sighed at the all-too-recent memories. “We must promise each other that we will be reasonable parents!” Rachel said to Katja. “Yeah, the major fact that this whole thing seems to be a very long ways off barring a stupidly simple event that seems to be eluding the pair of us!” Katja replied with a degree of sarcasm. “Or their conspicuous absence in our lives!” Katja said with a sigh. They walked on, passing a few other people who had obviously reached the same conclusion as to how to pass the days of the current hot spell. They crossed over a sturdy, but wobbly stile from the tow path and into the country park. There was an information board with a few trails marked out including which signs to look for marking each one as they walked. So, they took the path going up the small river and headed to the starting point across the quiet lane. “I’d hate to have to get a pushchair through there though!” Rachel said. Now, they were in a grassy field with a freshly mown path crossing at one side. Katja watched for birds, Rachel looked at the flowers and other wild plants. A tell-tale, clock-bird-like call came from a grassy knoll not too far away. “A cuckoo!” Katja said excitedly. “Here’s a dock leaf,” Rachel said, instantly at her friend’s side. She crumbled it and rubbed it between her hands to get a juice which she rubbed into the welt now forming on Katja’s exposed arm. The young women continued on their journey. “I wish we had two gorgeous men to come with us,” Rachel dreamed. “Anyone who heard us would think us desperate,” said Katja. “But we know they aren’t their characters,” Katja protested. “And I’m in love with Captain Trent,” Katja admitted. Along the meandering stream, Katja and Rachel continued...dreaming about the men they had never met and didn’t really believe could actually exist. “I’m hungry,” Katja said after awhile. “Me too,” said Rachel as she slowed down. They found a rock near the stream. Katja sat while Rachel carefully lowered her pack off her back and opened it, revealing the yummy lunch which was quickly consumed so that they could continue exploring the trail. Birth of the Neví – 829 T.C.E. It is a tumultuous period of Terrenden history. As is all too common, there are those who wish to profit from the misfortune of others. Some of these come together in a new "charitable organization" and step on the toes of the notorious Uugli. Combine this with draconian new measures to combat pollution and Terrenden has a situation ripe for a power struggle. Meet Iyva, a homeless teenager in Irola with a strong connection with the leya. Totally untrained, her power rebounds catastrophically, leaving her close to death. A Nameless hero saves her life, but hides. Anyone would be proud to teach her, but will she choose the safe, trustworthy A’mara or the shady ones who teach her what she wants to learn? 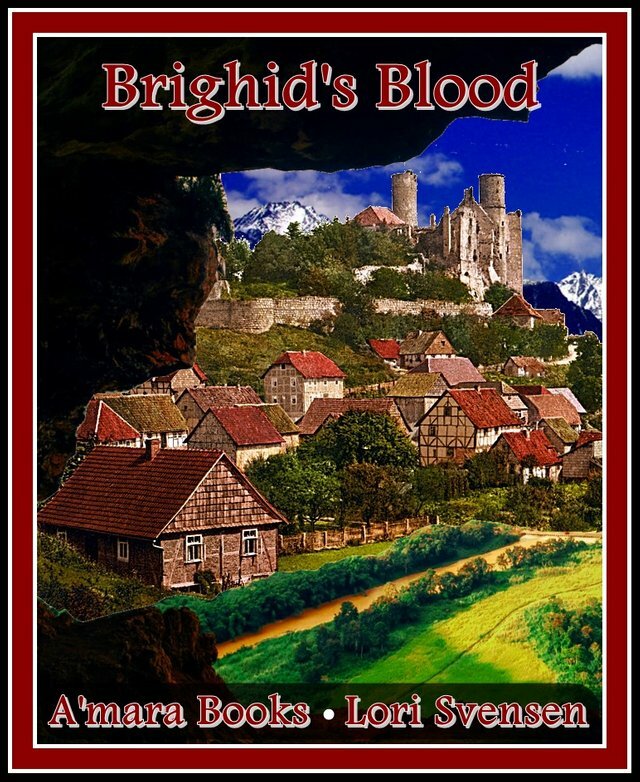 Can she trust her hero… the Nameless One? This story actually wraps around four other stories: Friendship on Fire,Courage to Trust, Elect to Change and Ocean of Empathy. Currently, they're only available separately, but I do plan to republish the collection as a whole - I just haven't got there yet. I’m still offering 1 Steem Basic Income share for any minnow who asks me a question which prompts an “Ask the Author” post! I’m thinking about putting these into a Dbooks ebook all its own, actually. Mountain background shot (on the border of Slovakia and Poland) – PublicDomainPictures. All maps/editing by myself on GIMP and Photoscape, both free programs. Disclaimer: This is a work of fiction. Any names or characters, businesses or places, events or incidents, are fictitious. Although the penalty of knowing me in real life is that you will influence the creation of my characters; any resemblance to actual persons, living or dead, or actual events is purely coincidental. Writing and artwork copyright myself 2005-2018 – all rights reserved. If you are interested in helping me publish these works, please contact me on Facebook or Discord, viking-ventures#2883. Thank you! You've really made my week! I'm working harder to describe what I see. Aah.. is "kissing gate" real? Haha.. stile would be impossible to push through a stroller/pushchair. Probably better to just throw it over the stile hehe. Stiles are great! But not with a stroller! 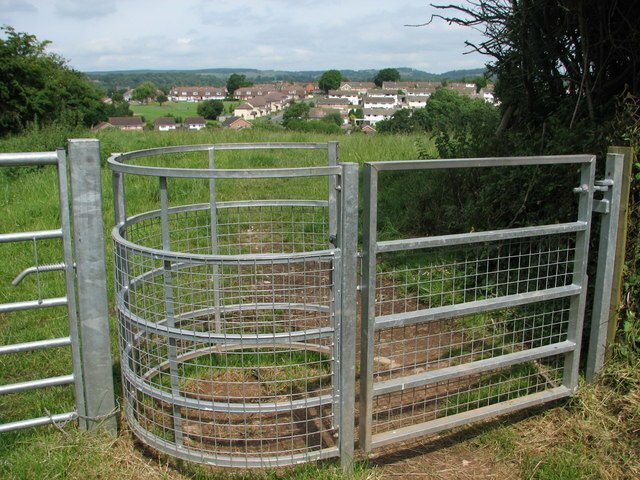 Here's the "kissing gate" from Wikipedia. It's a pretty cool invention, actually. As you can (hopefully) see, the gate swings from one closed point to another closed point. You get into the arc and swing it the other direction and get out again. Very clever design. Ooo.. so that is what the gate is called. It kisses as it closes? Hehe. Cool, I learnt a new thing! I have seen this type of design and never did I know it is called a kissing gate! So cute :) Thank you @viking-ventures! I love Anne of Green Gables too. Prince Edward Island is a very different sort of place. English, but French, but American and even a dash of Gaelic for good measure. An interesting place that I'd love to visit one day. The author also got a bit into "dream land" in her later books which definitely detracted a bit - though the experiences of the Islanders of war were very interesting and educational. I'm glad you're enjoying the story. I enjoy this style of writing.. I can imagine reading your book after a busy day, wrapped in a blanket and sipping my latte :) Easy reading and very interesting. You are a great story teller! Thank you for sharing! That is the sort of feel I'm aiming for. I like to read my books while lying in bed on a lazy afternoon or early evening. Of course, the one I'm working on is usually the one I read and reread, part of being a writer. I'm so glad you're enjoying it! Okay - I got the re-edit done and not only republished by itself, but I also got the collection out today. Pay attention to my A'mara Books update on Sunday as I'll give you the new links then. (It usually takes a couple of days for them to hit all the epublishers.) I do not use Amazon anymore because they don't like that I share them here first. Dang, You got another one(I just got my first curie). That's awesome, and congrats on the minnow push that was pretty sweet, I was worried that it wasn't going to happen yesterday, but glad it did. Thanks! Yes, it didn't look like it, but I had a last minute push last night that sent me over the line. But, with another curie, I knew I'd be there this week. I just didn't want to let @hitmeasap down on his push. I believe we're going to be working on you as well - with the minnowbuilder3 program (through pifc). I've bought my five shares this morning to contribute to that. So, already working on paying if forward again! I'm going to have to check the minnow builder out, I saw a little a couple months ago on discord but you are now the third person to mention me in connection with minnow builder. I'm going to spend part of my curie on my contest this week, doing 10 sbi shares, the rest I'm going to power up and see if I can place in the redfish league, just to say I did, lol.